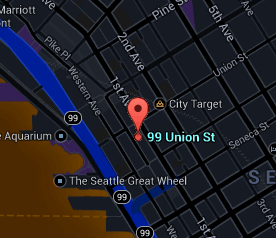 Seattle has over 90 unique neighborhoods. The location of Four Seasons is in the area known as West Edge. The Private Residences of Four Seasons is located on First Ave. & Union Street, in the heart of downtown Seattle. Just one block south of Pike Place Market, the building is close to theaters, sports stadiums, galleries, restaurants, and a myriad of shopping venues. The choices of activities are numerous, allowing residents in the area to enjoy a carefree and spontaneous lifestyle. Every building has its own personality and attributes. The community is an important aspect of city living and can have an impact on how integrated it is with the residences. The Four Seasons building features can be explored here. A full list of amenities within the complex is displayed to help understand the offerings of the project. Known around the globe for its dedication to continuous innovation and high standards in hospitality, Seattle's Four Seasons Hotel and Residences is located on 1st Avenue, just one block south of Pike Place Market. Completed in 2008 by Lease Crutcher Lewis Construction, NBBJ Architects, Susan Marinello Interiors and Brayton + Hughes Design Studios, the twenty one level luxury tower prominently stands in a premier Seattle Waterfront location. This prestigious mixed use high rise tower offers hotel rooms and amenities from 1st through 10th floor, and 36 spacious private residences from 11th through 20th floor. These city estate homes range from 1,324 sq. ft. to 8,000 square feet. Many of the homes boast expansive views of Elliott Bay, the Olympic Mountains and downtown city lights. Each home features luxurious finishes, including oak flooring and cabinetry, stone countertops, gas fireplaces, Miele & Sub-Zero appliances, and Dornbracht fixtures. Residents at the Four Seasons have access to world class amenities such as valet parking, room service and private concierge services. All active, contingent, pending, and sold listings for the Four Seasons building. The Stroupe Group specializes in downtown Seattle condominiums. All the articles that have been published by the Stroupe Group concerning Four Seasons and West Edge can be found here. We crashed the Grand Opening today for the Four Seasons today, and mixed in with those invited from the media. The Seattle Steam Company, located just west of the Four Seasons off Western Avenue, will be heating approximately half of Seattle with wood. Friday was perfect for visiting the new Four Seasons & Private Residences. We took some amazing photos while we were touring. Wondering what the western facing side of the Four Seasons is looking like ?